Gary Grambley, sales and marketing director at Sterling Custom Homes along with the company’s presidents are working together to make a child’s wish come true. 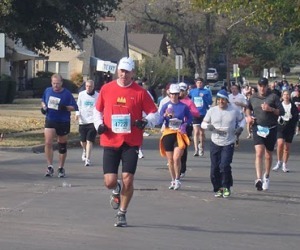 Gary committed to running the upcoming San Antonio Rock & Roll Marathon later this year and decided to use the race as a platform to raise money for the Make-A-Wish Foundation® of Central and South Texas. When Gary told Sterling Custom Homes president Duke McDowell of his plan, Duke graciously offered to match Gary’s donations on behalf of Sterling Custom Homes, up to $2,500. Austin luxury real estate builder has helped out this noble cause. Earlier this year, Sterling Custom Homes donated $1 to the Make-A-Wish Foundation® of Central and South Texas for every new “like” the builder received on its Facebook page. Make-A-Wish Foundation® of Central and South Texas donation page. Sterling Custom Homes, visit the website.